Ground source heat pumps use pipes which are buried in the garden to extract natural heat from underground by pumping water through it. 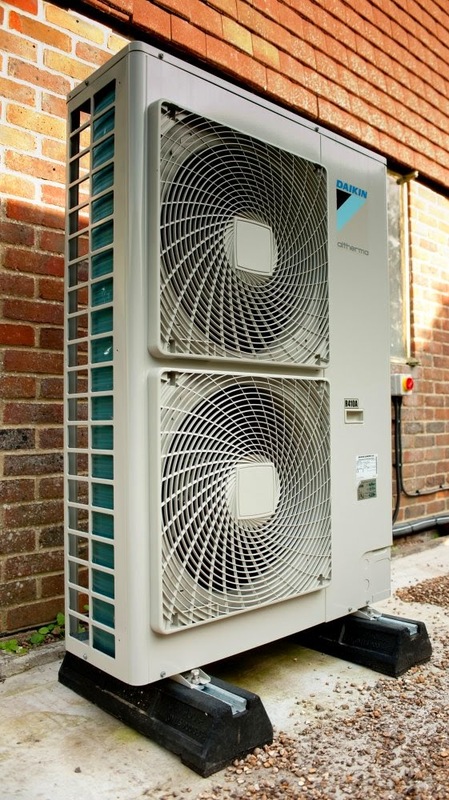 The heat pump then increases in temperature, and heat can then be used to heat radiators, underfloor or warm air heating systems and hot water in your home. Don’t worry technophobes its quite simple! A ground source heat pump needs electricity to run, but the idea is that it uses less electrical energy than the heat it produce. It circulates a mixture of water and antifreeze around a loop of pipe – called a ground loop – which is buried in your garden. The water and anti-freeze is pumped around the ground loop and absorbs the naturally occurring heat stored in the ground. The pump itself consists of 3 essential components; the evaporator, a compressor and a condenser – together these take the heat from the water mixture, transfers it to your domestic heating system i.e. your radiators and increases the temperature in the process. A ground source heat pump increases the temperature from the ground by between one and a half and four times – if the ground temperature is 12°C, the output would be between 18 and 48°C so you can say good-bye to those chilly winter mornings! And the best thing is the ground stays at a fairly constant temperature under the surface, so the heat pump can be used throughout the year – even in the middle of those harsh winters. Will they ruin your garden? No, not intentionally, unless the machines rise and have a thing against your flower garden! 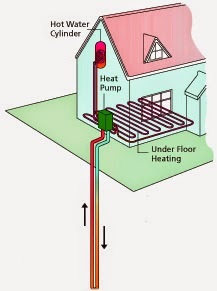 Joking aside; The length of the ground loop depends on the size of your home and the amount of heat you need. You’ll need sufficient space for installation of the system, generally with a garden that’s accessible for digging machinery. Longer loops can draw more heat from the ground, but need more space to be buried in. If space is limited, a vertical borehole can be drilled instead. Your existing fuel system. 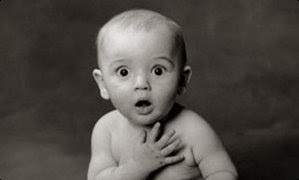 Savings will be greater if you replace an old or expensive heating system (like oil, LPG or electric heating) than if you are connected to the mains gas grid. Water heating. You may need a separate electric immersion heater. Ground source heat pumps (GSHP) differ in size and complexity, so pinpointing a typical cost is tricky. 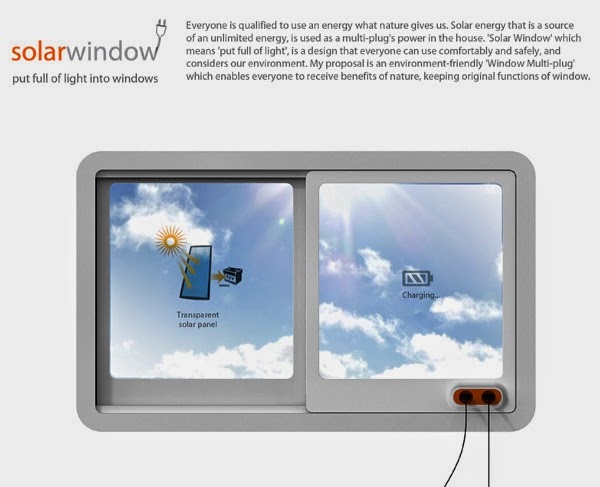 The Energy Saving Trust (EST) estimates it can range between £11,000 and £15,000 to install one in your home. A new build property will be generally more suited to a GSHP for retrofitting and RHI etc. Running costs can be higher if you’re also using the system for your hot water supply, and you may require a supplementary electric immersion heater to keep up with your heating needs. Financial help is also available. The Renewable Heat Incentive (RHI) is a government scheme and the EST estimated it could provide an additional £2,325 to £3,690 a year which is big money. Ground source heat pumps generate less CO2 than conventional heating systems which means they are eco friendly, no protesters outside your door! Ground source heat pumps are generally not suitable for properties with existing gas-fired central heating as the technology works at lower temperatures, making it better suited to homes with underfloor heating. The groundworks required to dig the trench can be expensive and disruptive – planning permission may be required if space is at a premium and you need a borehole. Ground source heat pumps tend to be better suited to new-build homes as they can be planned as part of the construction process. Will you be doing your bit in saving the environment? 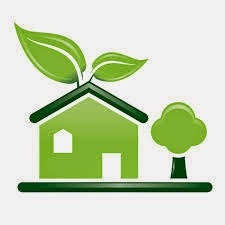 A Ground Source Heat Pump can help in lowering your CO2 emissions, reducing your carbon footprint by a considerable amount, helping you go down a few shoe sizes! According to the EST, a heat pump with mid-range efficiency uses a third of the energy needed in an average gas or oil boiler to produce the same amount of heat. Added up over a number of years this a significant amount so yes, you will be saving the environment you nice lovely people. To the majority the main reason why they won’t install solar panels is that some can look well… ugly. Nobody wants to lose their curb appeal understandably BUT, you don’t have to get panels. 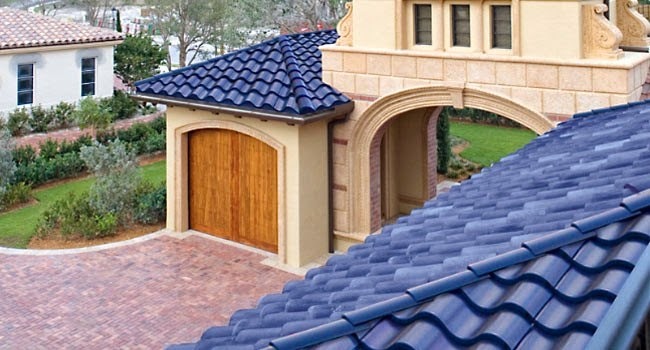 You can get solar roof tiles and they look just dandy! Solar shingles, also called photovoltaic shingles, are solar cells designed to look like conventional asphalt shingles. 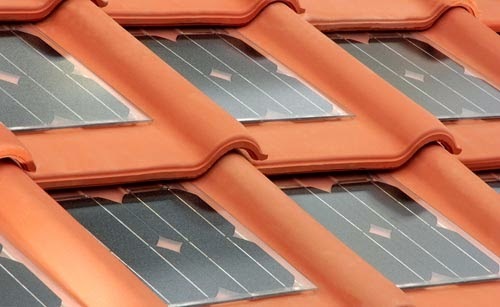 There are several varieties of solar shingles, including shingle-sized solid panels that take the place of a number of conventional shingles in a strip, semi-rigid designs containing several silicon solar cells that are sized more like conventional shingles, and newer systems using various thin film solar cell technologies that match conventional shingles both in size and flexibility. Solar shingles are manufactured by several companies by now. Solar shingles are photovoltaic cells, capturing sunlight and transforming it into electricity. Most solar shingles are 12 by 86 inches (300 by 2,180 mm) and can be stapled directly to the roofing cloth. When applied they have a 5 by 86 inches (130 by 2,180 mm) strip of exposed surface. Different models of shingles have different mounting requirements. Some can be applied directly onto roofing felt intermixed with regular asphalt shingles while others may need special installation. Aren’t they just dandy?! There are all sorts of shapes and sizes that admittedly do aesthetically dance on the eyes more so than the panels! So it is a no-brainer then; fit solar tiles instead of panels unless you want to make a statement to your neighbours with your solar panels. Well – as is often the case – it is not as simple as that. The main issue is cost or, more to the point, return on investment. Solar tiles are more expensive – often double the price – and less efficient – typically 10 – 20% less than than solar panels. 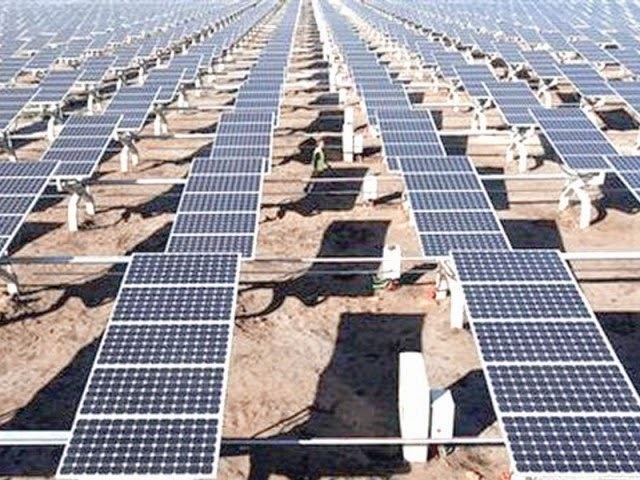 And as solar PV systems are being presented as an excellent investment with the Feed in Tariffs this will have an impact on their popularity and applicability. Solar tiles still may have a part to play in the sustainable design of our buildings however. For those that view the appearance of their roof as paramount or for whom cost is not a concern may still want to make the extra investment. Also with new build homes, it may be practical to install solar tiles instead of conventional roof tiles which will offset some of the cost and look great; particularly if they cover the entire roof pitch. Top 5 reasons to install solar panels! Solar power is more efficient, affordable, and easy to install and use than ever before. Here are the top 5 reasons why you should turn to solar energy. Modern Solar systems make going solar virtually stress-free for the home-owner. Installation crews can usually install a residential system in less than a week, and most installation companies take care of the necessary permits as part of their service. Using solar energy is easy too. Once the system is installed, your home’s internal wiring and appliances all work the same as before. Solar systems work even in areas with less than perfect weather. 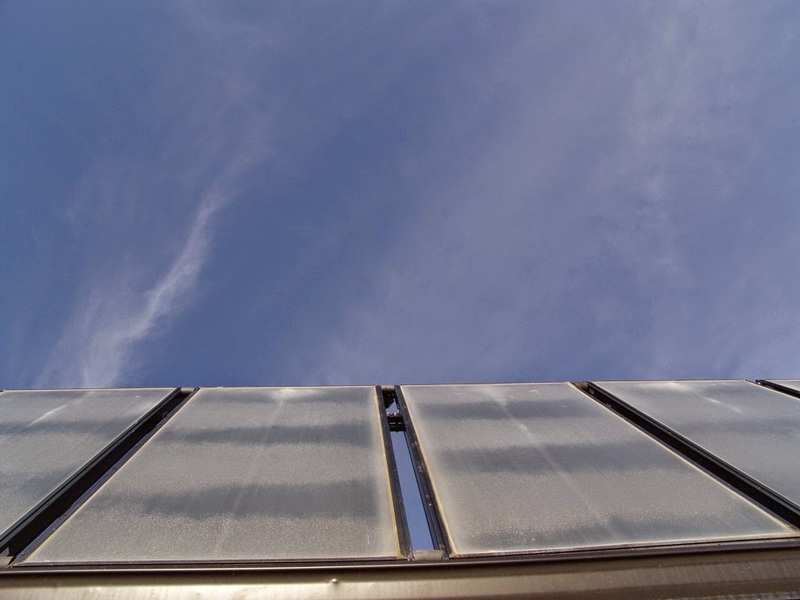 While solar energy has always made sense in places like the south of England, modern panels generate power at reduced rates even on days with partial sunlight. If you live in a temperate climate with frequent days of partial sun like the North of Scotland, you can still get the benefits of a solar energy system by using a net meter to manage your power needs. Net meters are utility meters that runs forward or backward depending on the situation. Net meters let you sell excess energy back to the utility company for credit when you produce more than you need, and buy back that power at night or during bad weather. One of the best reasons to consider a solar system for your home is freedom. The idea of becoming energy independent has become a popular subject nationally over the past few years, and owners of solar systems begin their journey to energy independence by reducing their dependence on public utilities, especially with their sky-rocketing prices you don’t want to be around for. Environmentally sound building practices are often more efficient than traditional methods, and solar energy is one of the best green investments you can make. Offering more than just panels and an inverter, some companies can install complete home energy management and solar energy systems that lower utility bills while reducing your carbon footprint. 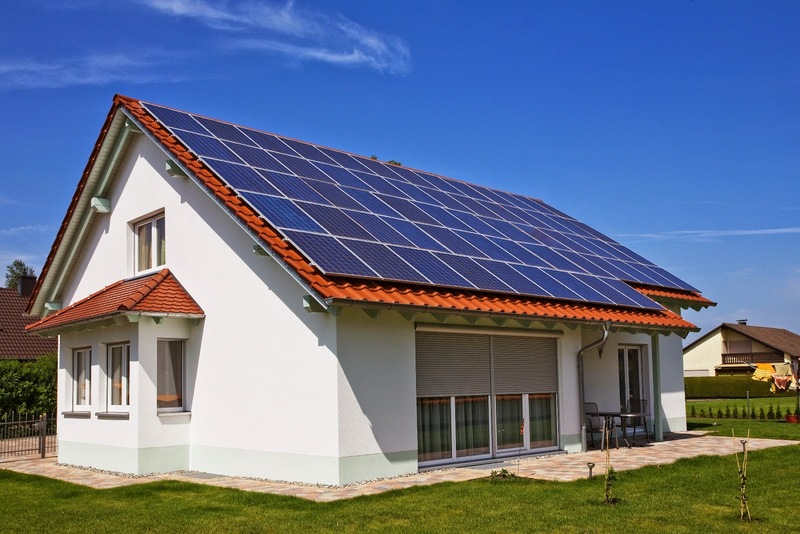 Solar energy provides home owners with simple, secure, environmentally sound power, while tax credits and easy financing make energy independence a financially viable alternative to public utilities for more and more home-owners every day. Will you join them? Can I Get A Solar Panel System? Before you decide to get a solar array there are a number of factors you have to consider as it can be a big deal. There are a number of things that have to be expertly evaluated before you can even consider putting panels on your roof. First of all, some might have to come out and do a site survey. 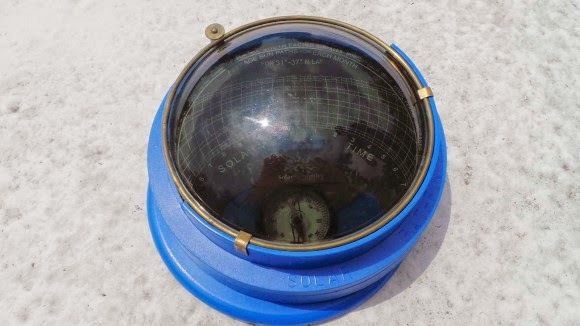 An engineer will climb up on your roof, take measurements, inspect to see if you have visibility to the south, and use this funky solar pathfinder device to determine the times of day that particular areas would be shaded. They go to the four corners of where the solar array is going to be installed with the Solar Pathfinder, and with it point towards the south it has a series of marks on it and a glass dome which reflects anything that would be throwing a shadow. You basically look at the reflection and see what time of day the shadow might affect that spot. To get the most out of your panels you need to have them in a pin-point location to work efficiently as possible, you can’t just bung them on any old place! Basically this means it must be facing south within about a 20 degree window. If they can’t point the panels in that direction, you might as well not do it because your solar generation drops dramatically. Same goes for shade. If you’ve got a building beside you, or trees that tower over the house, you’re done. Even if your roof points south, and nothing’s blocking the sun you still need to have an engineering survey done to determine if your roof can bear the additional weight! Luckily, it only adds about 5-6 pounds per square foot of roof loading, so most roofs should be able to take it. 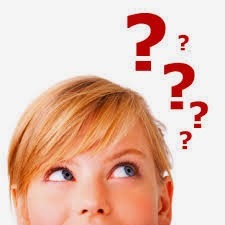 To some extent figuring out what you need is narrowed down by how much room you have and cost. But you also need to take a look at your previous year’s electric bills, find out what your electric rates are, and research what the projected generation will be for the size of system you’re thinking about. Oh boy, there is a lot they aren’t telling you! For example, one really good thing is that these systems are mostly guaranteed for 20 years! What isn’t really talked about is that its the solar panels that are warrantied for that long, but the inverters are not. So when you’re doing your ROI calculations you need to include the fact that you’re going to have to spend more money somewhere in the middle of the life-cycle for changing out parts. Speaking inverters, I should explain that the reason you need an inverter is that the solar panels put out DC current. This is like the current that comes out of a battery. But houses use AC current. So the inverter takes care of the conversion. There are two different kinds of inverters that are currently in use. Being dependent on one inverter can be inefficient, if they inverter goes down or has technical problems it means you won’t be generating any electricity. An answer to the efficiency problem comes in the form of micro-inverters. Instead of stringing multiple panels together and putting them through one big inverter, micro-inverters are installed on every single solar panel. This allows each panel to contribute 100% of its production to the home, and if one fails it doesn’t affect the output of any others. Each type of inverter has its own benefits. 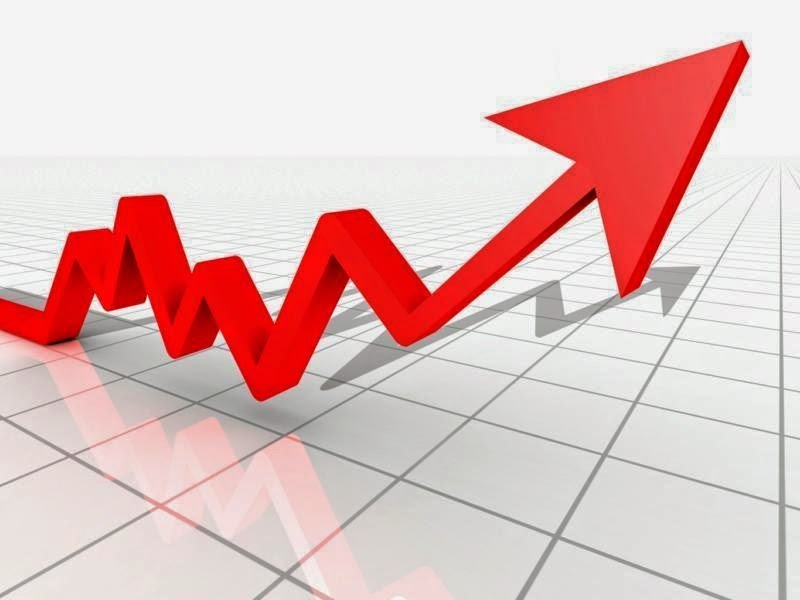 While micro-inverters are more efficient, they are also more costly. It could also mean a lot more wiring that have to be mounted and routed. Yikes! Big inverters might weigh 140 pounds(ish), but they get mounted in one spot and with minimal wiring. They are also extremely reliable, having been around since the beginning of the industry. Another thing no one bothered to mention is that the roof on your house generally doesn’t last as long as these systems. So let’s say you have a 10 or 15 year old roof. There is NO WAY it’s going to last as long as the panels. What do you do then? If you have to do any work on the roof you have to deal with the solar array first. Although some companies do provide a service that in the event of your roof needs repairs they will take down the Solar Panels for you for a cheaper price than it would cost originally. If you are worried about this then I would advise to talk about this with a trusted company that will be willing to help you out e.g. the solar company that fitted the panels. Who’s going to look after the system? And how? I advise to stay at home and participate during the install so you can learn how things are connected, and if something needed minor repairs you could do it yourself.If you have a pitched roof, you probably don’t want to be getting on it to service your panels. So make sure the company you choose has been around a long time so you don’t have to rely on service from someone else. How Long Does It Take To Install A Solar Panel System? The good news is that it only takes about a day to a couple of days days for them to be installed on your roof. The bad news is, that the answer isn’t that simple. After we did the site survey and worked out pricing and all that, we had to sign contracts. Those contracts had to get sent off for approval to the electric company because we were going to be tying into the grid. Meanwhile, you have to have the structural engineer come to the house to determine if the roof could bear the weight. All of those things can take weeks to complete. By the way, if you’re wondering if you can do all this yourself – the answer is no. Next question! 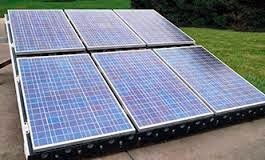 Obviously Solar Panels range from country to country, region to region but, specifically in the UK (where I just so happen to be from) They are about £5,000-£10,000 but this all depends on the size, quality and quantity of Solar Panels you buy! A website that proved very useful to me was Solar Panel Quoter. They give you a lovely FREE quote from your region specifically and can give you a list of the top 3 companies in your area from their database, how convenient! Another thing before you are put off by the expensive price, you aren’t JUST buying the panels themselves with that money. Its also for the install which is in itself a complicated process witnessing it for yourself you’ll understand its worth every penny, just its a lot of pennies! Your pay back can easily be done over a simple spreadsheet, factoring in the months when the panels will be at either a low or high efficiency. It should be fairly straight forward but on average most solar panel systems make back their money in roughly in half their life times. Which means it is worth getting them, you just need the money to kick-start it! However, if you can afford to do it, it is also a form of insurance against the potential of sky-rocketing energy prices. This should be about everything you need to consider before installing solar panels. If I have missed anything out or you have any queries, make sure to comment below! If you’ve ever wondered how much you would need to invest to harness the sun’s energy for your own personal use, this blog will give you an idea of the costs and benefits of each system. 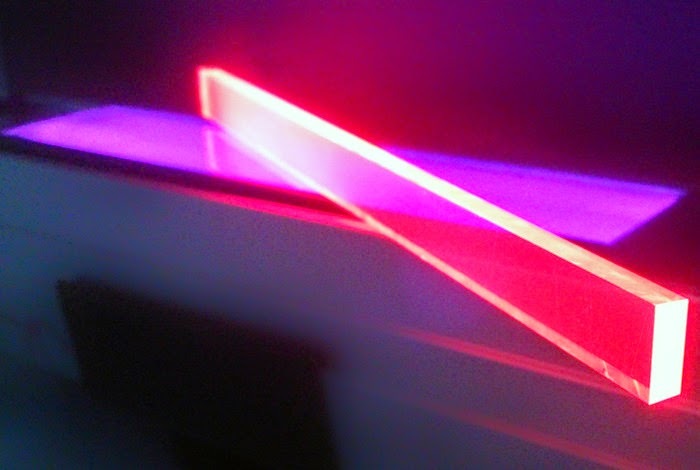 On the simplest level, there are two types of solar panels. 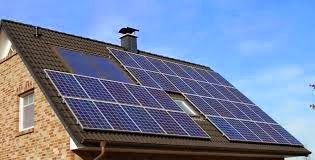 Solar photovoltaic (PV) panels which produce electricity, and solar thermal panels which produce hot water. In May 2012, the Department of Energy and Climate Change assessed the costs of solar PV, based on the average 3kWp (kilowatts peak) system that is installed. The average cost of installation was found to be £7,700. 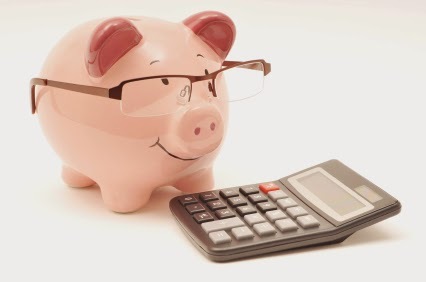 Whilst larger systems cost more, they are actually more cost effective in terms of the savings they produce. 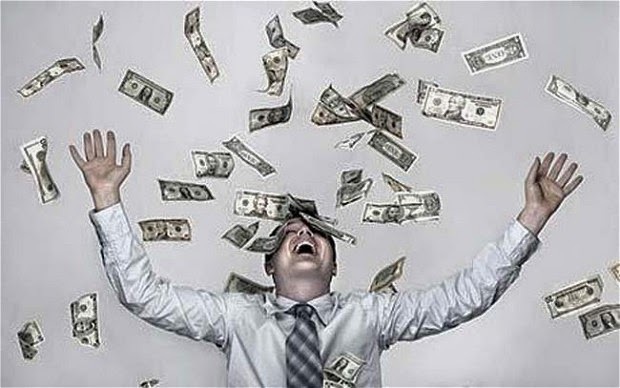 If you are wondering how much a Solar panel will cost you, you can click here for a FREE quote from your region! On average, a 3kWp system has been found to generate 2,500 kilowatt hours of electricity every year. This is equivalent to about 3/4 of the average household’s electrical needs for a year. A larger system could therefore exceed the household’s requirements, with the extra being sold onto grid. So the obvious benefit is that once you have paid for the installation your bills will be significantly reduced. 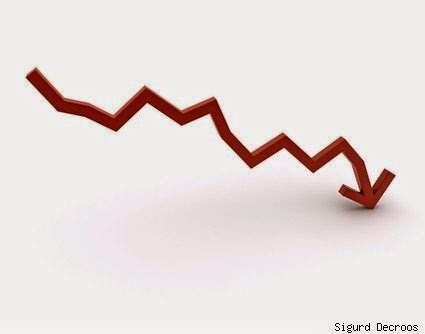 If you are producing more electricity than you need you can sell it back to the grid. Furthermore, if you are eligible for the Feed-in Tariff scheme, this could generate savings and income of approximately £750 per year (based on rates applicable since April 1st 2014). Here you get paid for both the electricity you generate and use and that which is sold back to grid. At this rate, the average payback is around 14 years. There is very little maintenance required. As the panels are tilted at an angle, they should be cleaned by rain water. Being dirty will impair their performance, so if necessary you can contact window cleaning companies to wash them for you. The panels should last for 25 years, although inverters might break before then. 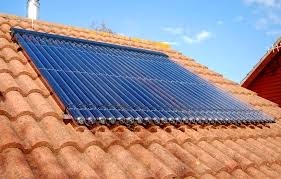 Solar thermal panels work in conjunction with a hot water cylinder, so you must make sure you have a suitable one, or room to fit one, if you are thinking of installing this type of panel. The panels heat water that is circulated through a coil in the hot water cylinder, transferring the heat to the domestic hot water stored in the cylinder. If the panels are not able to produce enough hot water, an immersion heater or boiler will top it up. Once again there are the benefits of cutting you bills and reducing your carbon footprint. The average cost of this system is £4800 and it produces moderate savings. In the summer it will produce most of your hot water. In the winter, it will need the boiler or immersion heater to produce most of it. Maintenance costs are low and they come with 5 or 10 year guarantees. As with solar voltaic, they need to be kept clean, though hopefully rainfall will achieve this. You should also check it, or have it checked, for leaks. Leaks of the antifreeze in the panel will have a strong smell so should be noticeable. The pump may need changing after 10 years or so at a cost of around £100. Studies have shown savings of around £55 per year (230kgCO2/year) when replacing gas heated hot water and £80 per year (510kgCO2/year) when replacing immersion hot water. However, savings will vary from house to house, depending on which way the panels are facing and which part of the country they are located. It stands for ‘photovoltaic thermal’. 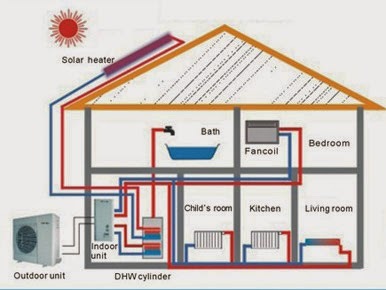 It’s basically a hybrid solar panel consisting of photovoltaic (electrical), or PV, and thermal (heating) functionalities – usually separate – which will contribute towards a house’s electricity demands while heating hot water. There is one potential problem in that heat output can be three times the electricity output. If we assume a 4kWp system, a standard PV array of that size would produce 3,000 to 3,200kWh of electricity each year. A PVT system will produce over 3,500kWh of electricity and up to 10,500kWh of hot water each year. That sounds fine, as an average house with four people in it will need about 4,000kWh for hot water and 8,000 to 10,000kWh for space heating. But, and it is quite a big but, PVT will produce around 50% of that hot water in the three summer months — some 5,250kWh when we actually need only 1,000kWh. So what do we do with the rest? Clearly from a financial perspective, solar voltaic panels produce far greater savings. Continual improvements in technology and falling installation costs are also bringing the payback time down. PV/T would be more ideal but obviously it does cost a little bit extra and aren’t guaranteed as long as PV. 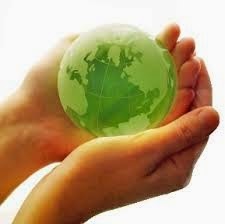 Whilst this blog has looked at costs and benefits in financial terms, what it cannot measure is the importance to you of going green. However, if the environment is your priority, the fact that your investment will pay back in time is a comforting bonus. 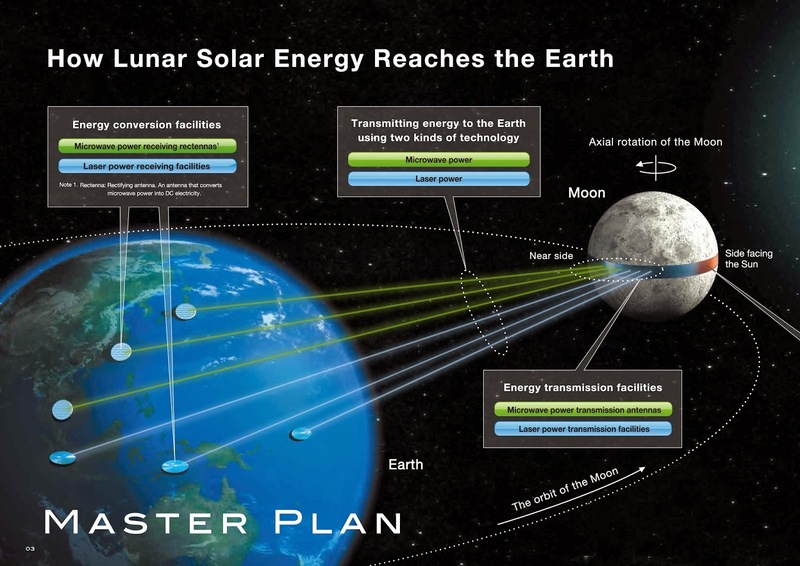 After all you only need solar panels the size of Ireland to power the entire WORLD! So do your part! In no way am I saying ‘pave over Ireland with solar panels’ think of the leprechauns!